This Balloon Drop Bag will allow you to celebrate your loved one with a festive accessory. It is simple to use. When you're ready to release the decorations, pull the dangling rip cord. The birthday balloon bag is made for use by children and adults over 8 years of age. Prestrung 25'X 14' balloon net made of black netting with 3 1/2" holes. 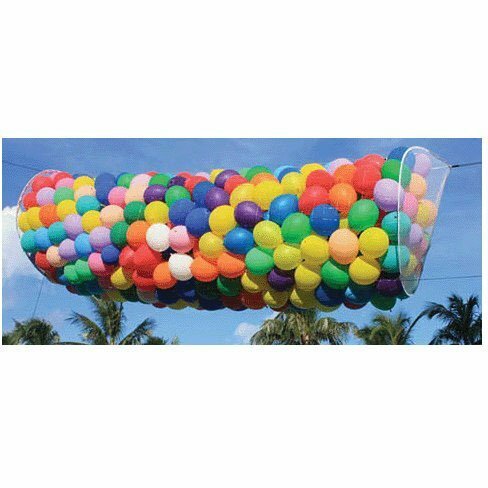 Holds 1000 9" latex or 500 11" latex balloons. Has a 50 foot pull line and 2 top corner 7 foot ceiling rig lines included. 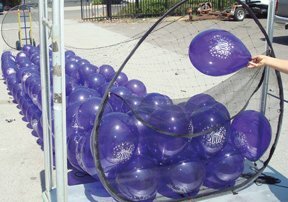 Cut loose at your next party with this Balloon Drop Kit. This Balloon Drop Kit is the perfect way to add some excitement to your New Year's Eve or birthday party. 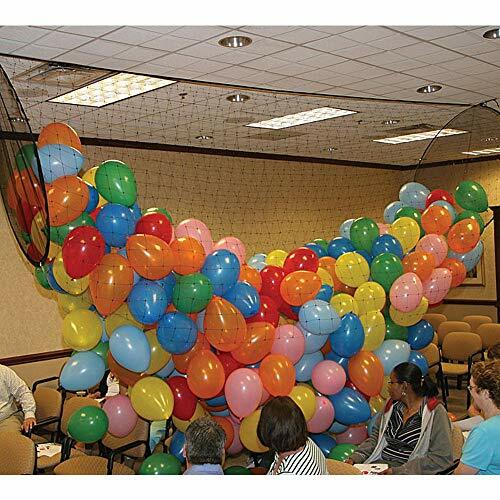 This Balloon Drop Kit is a great addition to any party. 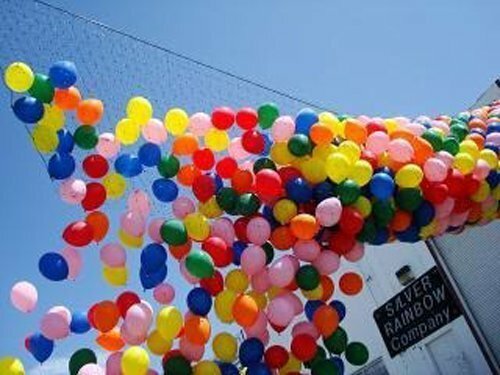 Simply fill the bag with inflated balloons and hang from the ceiling, then pull the string to release them all. 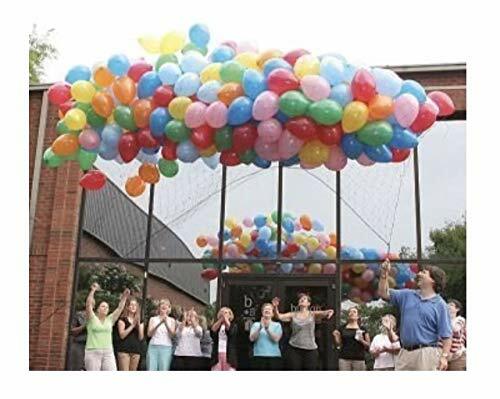 Combine with other balloon accessories and party supplies to make your party pop. • NETTING ONLY: Used for hot air balloon table centerpiece arrangements• To be used in conjunction with 36" latex balloon• Netting measures 3'• Flowers, container, and balloon not includedCreate a charming hot air balloon decorative bouquet or table centerpiece with this plastic netting. This easy-to-do craft makes for a wonderful dressing piece for wedding parties, showers, receptions, birthday parties, or for any festive event. Package contains 1 plastic 3' net (flowers, container, and balloon not included) and will fit a 36" balloon. • NETTING ONLY: Used for hot air balloon table centerpiece arrangements• To be used in conjunction with 24" latex balloon• Netting measures 2'• Flowers, container, and balloon not includedCreate a charming hot air balloon decorative bouquet or table centerpiece with this plastic netting. This easy-to-do craft makes for a wonderful dressing piece for wedding parties, showers, receptions, birthday parties, or for any festive event. 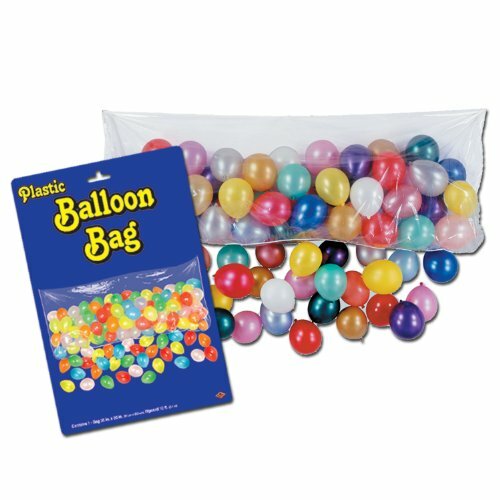 Package contains 1 plastic 2' net (flowers, container, and balloon not included) and will fit a 36" balloon.